Choices include an Akari LED desk lamp which comes in four colors and a nice Christmassy packaging. There's also the Akari 4W LED desk lamp that has an eye protection feature. These gift choices ranges from PhP 295 to PhP 995. 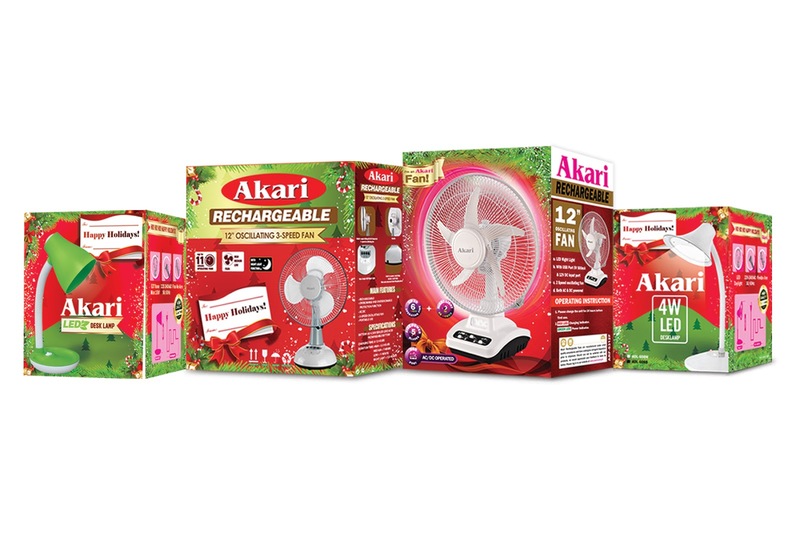 There's also the Christmas-edition Akari rechargeable fans which are available in partner stores nationwide.